Help Burger King launch its new Big King burger, which mimics rival McDonald’s beloved Big Mac, except with Burger King’s trademark flame-grilled beef patty. McDonald’s, and especially its Big Mac, has near-iconic status in most fast food markets, and Japan is no different. It has secured strong brand loyalty over the years for its most famous burger. Burger King sought to take on McDonald’s right at its core by producing a rival to the Big Mac, the Big King. The next step was working out how to make people aware of it and attracting the loyalty of its core target group: Big Mac fans. Burger King launched the We Love ‘Big’ campaign. The idea was to make consumers associate the word ‘big’ with Burger King, by turning any items that were big in size or had the word ‘big’ in them into unique coupons that would gain them discounts at Burger King. It was based on the classic Japanese word assocation game ‘Ogiri’, in which players give the simplest and most logical answer in response to a question or topic. 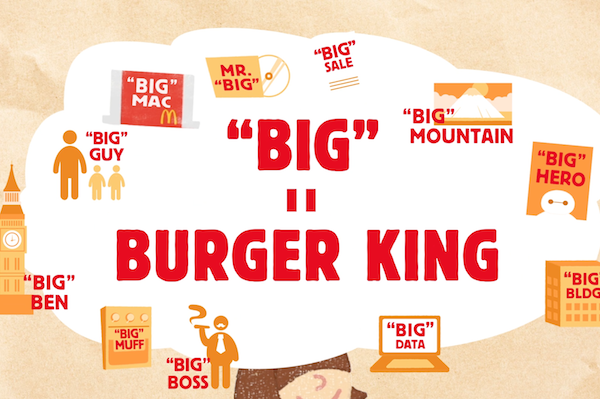 In this case, for consumers, ‘big’ would equal Burger King, or the Big King burger. As such, any customers that brought a ‘big’ item with them into a Burger King restaurant would receive a discount on the Big King (pictured) that made it the same price as a Big Mac. The sheer range of what constituted a ‘big’ item meant huge publicity for Burger King. Most tellingly, consumers would come in with empty Big Mac boxes, or receipts, to gain the Big King discount. Others turned up with albums by American rock band Mr Big, or a tall friend, and qualified for the discount. In this way, anything large could become a media vehicle for Burger King. The We Love ‘Big’ campaign created a huge media buzz and was a top trend across various social media platforms for several weeks. In total, almost 66,000 ‘big’ items were brought to Burger King stores during the campaign, which ran from January to December 2015. 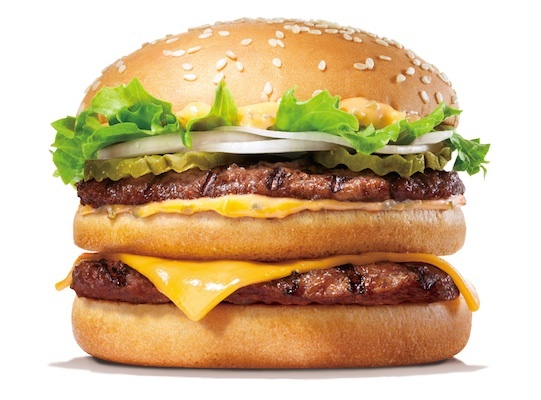 Moreover, in a survey of 106 customers, 70 per cent said they preferred the Big King to the Big Mac. All of this led to a 116 percent growth in sales compared to the previous year, with estimated media exposure worth US$3.3 million, making We Love ‘Big’ Burger King’s most successful campaign to date in Japan.